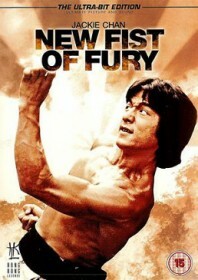 Chan’s first collaboration with Lo Wei is a dodgy affair, the official sequel to Wei’s 1972 Bruce Lee film Fist of Fury and featuring some of the original cast and crew. Yet Wei’s idea to cast the young Jackie Chan as the next Bruce Lee doesn’t work. Chan makes a poor Bruce Lee, and never gets the opportunity to shine. The sentimental story follows a familiar Chinese versus Japanese hysteria. Another Ching Wu school has been set up in Taiwan (by the returning Nora Miao and Han Ying-chieh) and the invading Japanese try to take it over. Chan’s a young thief who is quickly trained up to battle the invading Japanese military and fight for national pride. If the message wasn’t so crude (in one instance, images of a heroic Jackie Chan are transposed with that of the real Bruce Lee), then maybe the film could be excused. But as it is, the miscasting of Jackie Chan combined with the exploitative nature of the story make for uncomfortable viewing.